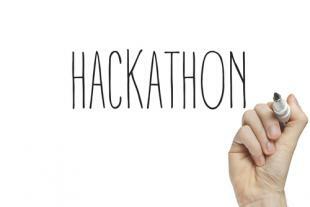 We have been seeing the growing popularity of hackathons all around the world. There are a lot of factors that contribute to this phenomenon–the increasing size of our tech-reliant society, a growth in computer science engineers, and the popularity of entrepreneurship. Hackathons take place all over the world–not just in the United States. Whether or not you already have a job or you’re looking to release some stress by creating something out of your imagination, these events are great places to meet engineers and other people looking to get creative. Who knows? You could end up finding your next business partner. UberConference, a telecommunication tool used in the OpenSesame office, was founded at TechCrunch Disrupt in 2012. Most of these events are sponsored by large and small companies alike. After seeing what people can produce and what their skills are, companies look to hire the best technical talent they can find. Going to hackathons or even hosting them can give you premier access to the best and most intelligent minds. Working and producing under a strict time limit and deadline is something that most employees are forced to do at work. Thus, these hackathons can put those skills to the test! Furthermore, workers from different departments can find teammate with other skillsets. In order to make sure the team carries out their goal, communication, patience, and trust are necessary. It’s important that you can be comfortable working with people that you just met. This is a place where people can turn their ideas into a reality. No more wishing and dreaming about things that don’t exist–go out and make them! These hackathons facilitate great community building usually involving plenty of caffeine and food. Hackathons are extremely competitive in nature–there’s a deadline, and you’re working alongside other intelligent and skilled workers trying to come up with their own product. However, in the workplace, you don’t always experience that kind of adrenaline of trying to outcode someone, or create the best idea. A little bit of friendly competition never hurt anyone. These hackathons aren’t necessarily about creating the next Facebook or Snapchat. Many people who have participated in Hackathons gush about the exhilaration of staying up for 24 to 36 hours, surrounded by abnormally caffeinated individuals, working away through the end. Do I have to be an engineer? No! These hackathons aren’t limited to just engineers. Creating new products requires creativity and innovation–qualities that can be found in any individual. It’s important to remember that there are other aspects to think about rather than just the software when it comes to hacking? coding?. . Have you ever attended a hackathon? If so, what are some of your favorites? Let us know in the comments below!